Diego Reforgiato Recupero has been an Associate Professor at the Department of Mathematics and Computer Science of the University of Cagliari, Italy since December 2015. He is a programmer, software developer, automation and ICT expert. He holds a double bachelor from the University of Catania in computer science and a doctoral degree from the Department of Computer Science of University of Naples Federico II. He got the National qualification for Computer Science Engineering and he is a Computer Science Engineer. In 2005 he was awarded a 3-year Post Doc fellowship with the University of Maryland where in 2006 he won the Computer World Horizon Award in the USA for the best research project on OASYS, an opinion analysis system that was commercialized by SentiMetrix. 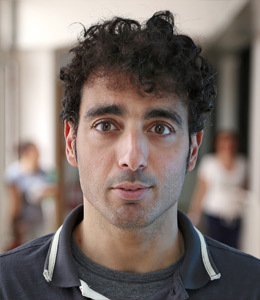 In 2008, he won a Marie Curie International Grant that allowed him to come back in Italy and was able to fund a 3 year Post Doc fellowship within the Department of Electrical, Electronic, and Computer Science Engineering (DIEEI) at the University of Catania where he won the “Best Researcher Award 2012” for a project about the development of a green router nearing commercialization. In the same year he got to the winning podium of the “Startup Weekend” event held in Catania with a project related the automatic analysis of opinions and was a winner of Telecom Italia Working Capital Award with a grant of 25k euros for the “Green Home Gateway” project. In 2013 he won a Post Doctoral Researcher position within the Semantic Technology Laboratory (STLAB) of the Institute of Cognitive Science and Technologies (ISTC) of the National Research Council (CNR) where he worked on Semantic Web and Linked Open Data; he is still an associated researcher at STLAB where he collaborates. He is co-founder of R2M Solution s.r.l. (Italian company), R2M Solution ltd. (UK company), Sentimetrix inc. (US company). He serves on the board of directors for R2M Solution and SentiMetrix. With R2M he won and participates in several FP7 and H2020 ICT projects. He is a patent co-owner in the field of data mining and sentiment analysis (20100023311). He has industrial and consulting experiences in several national and international industries. He has research experience across a wide array of industrial, Italian, FP7 and H2020 research projects most recently in the fields of ICT, energy saving in telecommunication networks, robotics and semantic web.